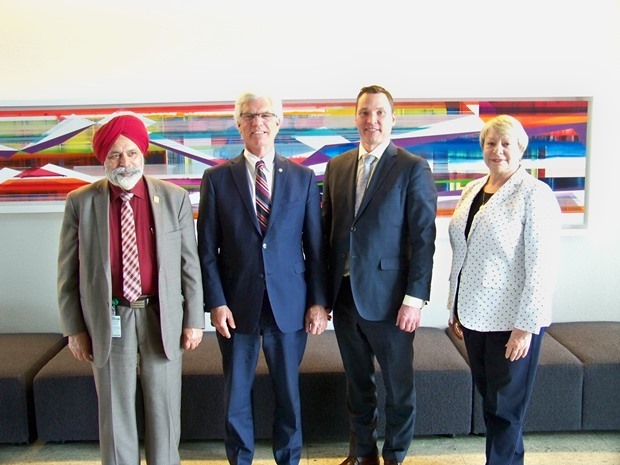 Calgary, AB — Demonstrating the strength of collaboration, Alberta Innovates has teamed up with Natural Resources (NRCan) and industry partners to take three clean oil and gas technologies to commercial demonstration. This announcement is a result of NRCan’s Oil and Gas Clean Tech Program. NRCan is contributing $21 million and Alberta Innovates is investing $5.2 million, for a total of $26.2 million over two-years to support clean oil and gas technologies to help develop Canada’s hydrocarbon resources in sustainable ways. Accelerating these technologies will be a key component to making Alberta’s oil and gas economy more competitive, creating jobs and supporting Alberta’s transition toward a low-carbon economy. The three industry partners, Cenovus Energy, Field Upgrading, and MEG Energy are investing $43.3 million in commercial demonstration.